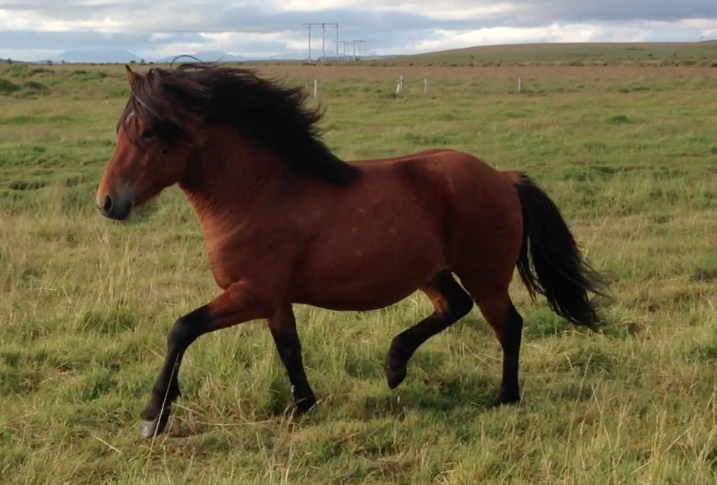 Promising stallion with great bloodline, son of Sveinn Hervar frá Þúfu (8.25) and Gáta frá Þingnesi (8.01). Ófeigur frá Þingnesi s a promising stallion with great bloodline, son of Sveinn Hervar frá Þúfu (8.25) and Gáta frá Þingnesi (8.01), Gáta has 8.29 for Riding Abilities (9 for tölt, trot and temperment, 8.5 for gallop, character and general inpression. Ófeigur's father, Sveinn Hervar frá Þúfu, is son of Orri frá Þúfu. Ófeigur is brother of the great fourgaitor, Hlekkur frá Þingnesi that has 7.90 in four gait preliminaries and 8.07 in finals.